This little shop is tucked away in a side street, but actually just a few minutes away from the main tourist route. I have walked past it several times, but never during its opening hours. 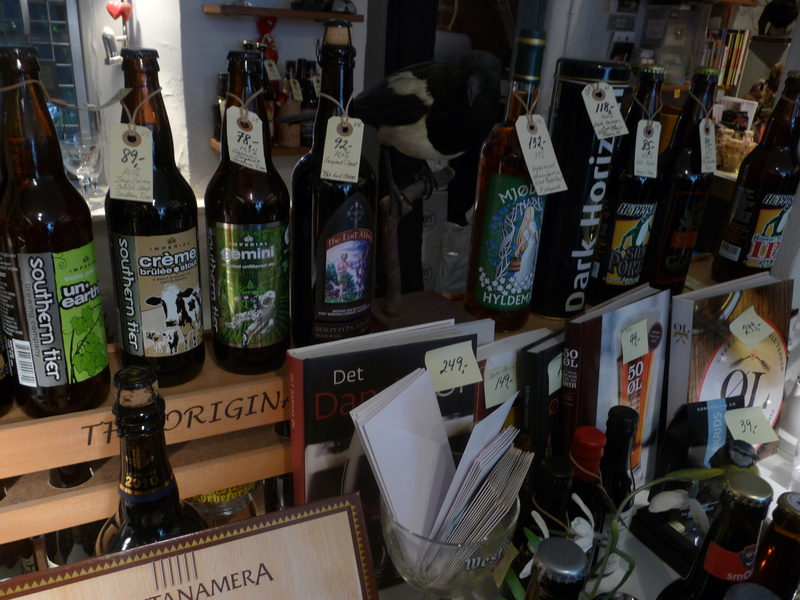 The owner takes his beers seriously – this is where they refused to sell Nøgne Ø Dark Horizon 2 until had aged longer in the bottle. The shelves are crammed with beers from near and far. Imports, yes, but the emphasis is on Danish micros. You get a little bewildered, until you see that the shelves are organised according to beer style. Glassware, books and boxed beer gifts, too. For the special occasion, there is a gift wrapped basket with 12 Mikkeller beers. I’d say the prices are similar to Ølbutikken, but Barley Wine has more regular opening hours and has, for the time being, a more convenient location. Try to visit both of them. 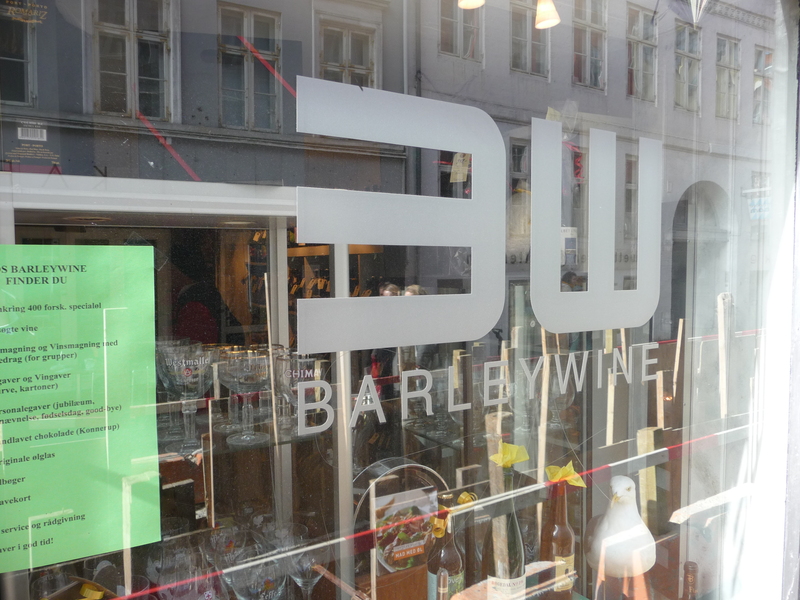 Be sure to check out the Barley Wine web site, with comprehensive coverage of the Danish micros they carry. En veldig trivelig butikk og noen fantastisk søte mennesker som driver den. on April 26, 2011 at 7:25 am | Reply Jonas...from hell! Small store with a good selection.They have given me a discount every time i’ve have done my shopping there.The last time the elderly gentleman even gave me a bottle to choose from their fridge to consume on the premesis.